I wish I could draw cars. I was decent when I was young, but now I’m useless. Ryan Hadden of Hadden Hot Rod Shop is a car nut who digs drawing cars too. 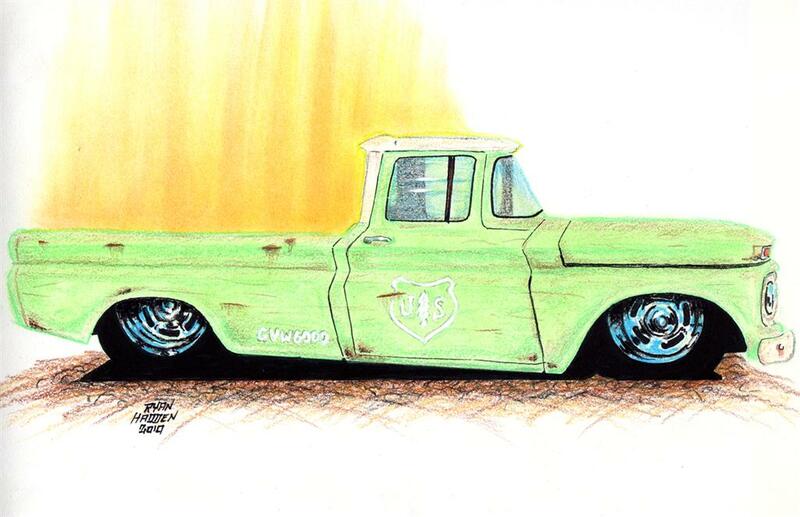 His own hot rod, a ’54 “Plain Lorraine” F-100 pickup was featured in a blog where Andy Kawahara painted a “shop truck” door logo. If you missed that, check it out HERE. Ryan has helped friends visualize their hot rod projects by sketching their custom car and hot rod ideas. You may have seen his work in the Andy’s US Forest Service Truck feature. Such a cool shop truck idea. Ryan captured it perfectly in his sketch above and Andy built it to spec. 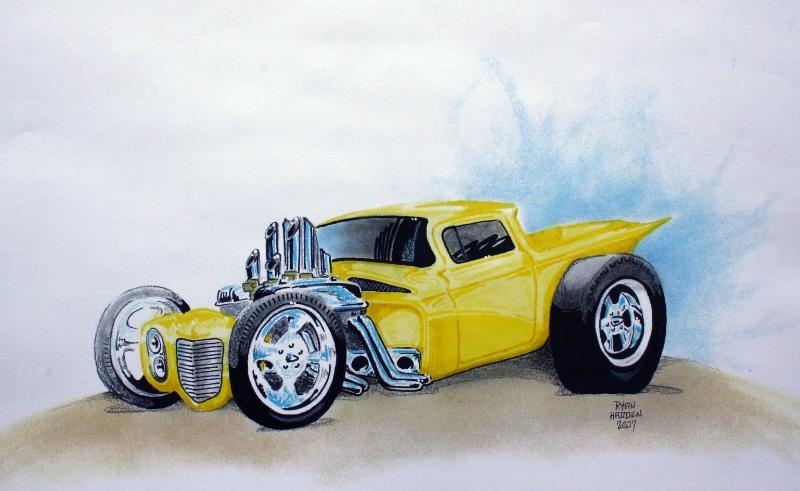 When choosing an artist to sketch your hot rod, there are many options. The two biggest differences I see is an artist who uses pencil/marker and paper and the artist who uses a computer. There are also differences in price. There’s artists out there to fit anyone’s budget. This is Andy Kawahara’s other hot rod truck (I see a theme here), a 1961 Apache done up in a Mild Custom look. I’m really diggin’ the white walls and how they accent with the white top and tonneau cover. I hope you can build it to look like that man! Dig this crazy Camino! The cool part about sketching cars is you can get crazy and creative. This looks rad! What do you guys think? Sweet! Check that grille and louvered hood. I love these post WWII cars! 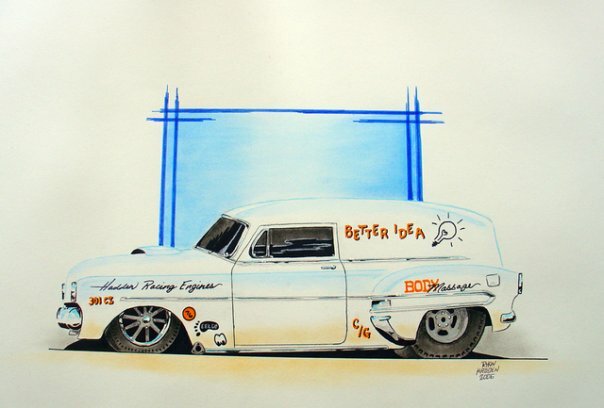 Here’s a cool delivery pro-street hot rod Ryan calls “Better Idea”. Hope you liked these sketches by Ryan. 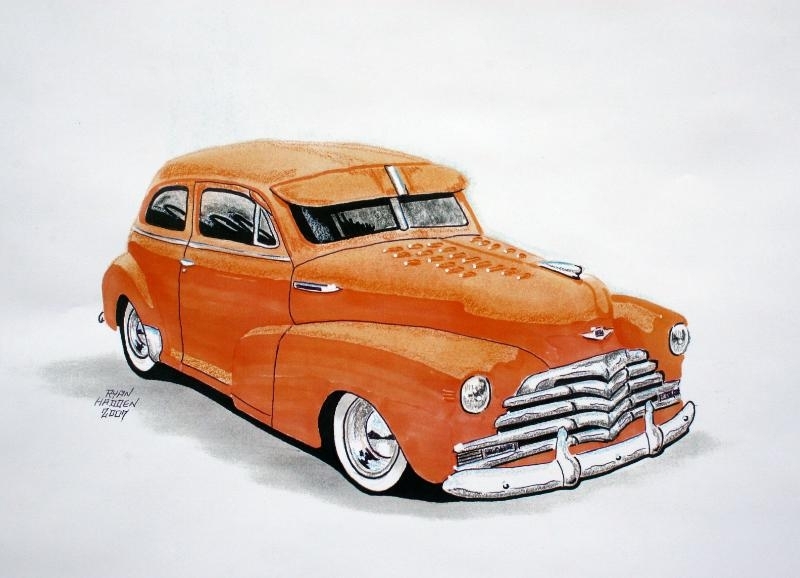 You can see more of his sketches and photography on the Hadden Hot Rod Shop Blog. 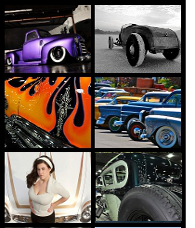 You can contact him through his blog or email him HERE if you’re interested in having him sketch your hot rod ideas. Ryan and I are working on a Hot Rod Sketch Tutorial, a step by step look at Ryan’s drawings with one of my crazy car ideas with a certain late model Japanese grocery getter. Stay tuned! Ryan…you da man! What a talented guy…I’m proud to call you a friend and I cant wait till you and Chris get his sketch done!!! Jon – please feel free to email at haddens_garage@yahoo and we can talk about what you have in mind. Thanks. CAMARO, AND WORK YOUR MAGIC. I HOPE TO GIVE IT TO HIM FOR CHRISTMASS. IM FROM CT. COULD IT BE DONE IN TIME? THANKS AGAIN. Pat – please feel free to email at haddens_garage@yahoo and we can talk about what you have in mind. Thanks. Mr. Hadden, I recently bought a 1934 Chevy pickup that I believe you shot the photo’s for the So-Ida poster series. I looking for history of this ride, who built it and how did it get to Ron Mangus and wind’s up in the desert of California where I got it. Any info would be appreciated.